AMOSUP’s main accommodation facilities for members have resumed operation after almost a year-long reconstruction. 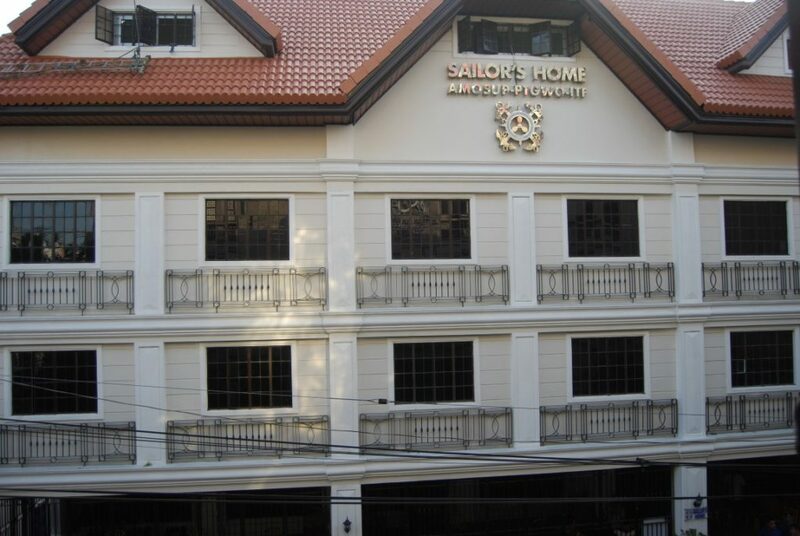 Located across the Union’s headquarters in Intramuros, Manila, the newly reopened Sailor’s Home now provides more spacious facilities to accommodate about 300 seafaring guests at a time. Apart from the spacious accommodations, bays for the laundry areas have been added in which coin-operated washing machines have now been installed. The recent restoration of the Union’s four-storey transient facilities marked its second refurbishment since it was built in 1993. The first overhaul of the former three-storey building, which then had a capacity of 99 beds, was done in 2004 when it expanded to its current four-storey facility to accommodate more seafarers. AMOSUP’s needs for temporary accommodation for their embarking and disembarking members including those undertaking training in Manila have increased over the years. Such requirements have resulted in the construction in 2012 of another 400-capacity building – the Sailor’s Home Annex – next to its operational hub or the Seamen’s Centre building. Holy mass and the blessing of the facilities marked the ceremonial resumption of the newly furbished seafarers’ Home. Both the main Sailor’s Home and the Annex Home have always been fully accommodated as hundreds of members checking-in for temporary stay mostly come from various provinces across the country. For instance in 2013, seafarers who checked-in at its Annex facilities consisted of 46% mariners from various parts of Mindanao, 30% from Luzon and 22% from the Visayas. Most of them were embarking and disembarking crewmen. Others were undergoing training for upgrading courses or reviewing for the next professional exam in line with seamanship requirements.